This beautiful decal is made using a font that is perfect for Halloween! The chiseled points on the text give the font a spooky look. 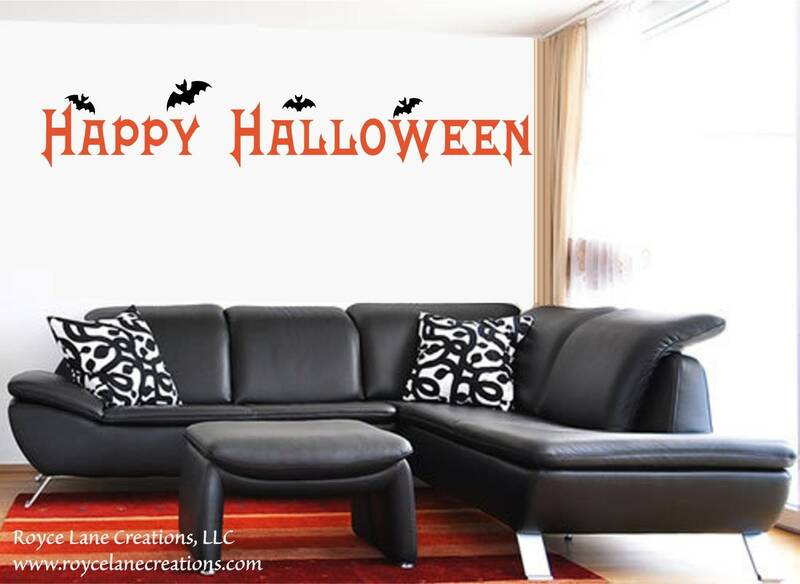 The decal will make a perfect Halloween decoration that will delight the young and the old! The text is orange and the bats are black. You will receive the text and 4 bats as shown in the photo. This decal comes in 2 pieces: the text and the bats. You can arrange the bats however you prefer to get a custom look. The size given is the text size. Depending upon how you arrange the bats the decal measurements may be larger. This decal has a matte finish and looks as though an artist painted it right on the wall. It will also look wonderful on a window! It will surely delight passersby!